On this Christmas Eve, I want to wish you and your family a very Merry Christmas and Happy New Year. Today and tomorrow, in honour of Christmas, I am featuring my best Christmas Cards of the Season! I think this was my favourite Christmas card of all this past year. Find it here. 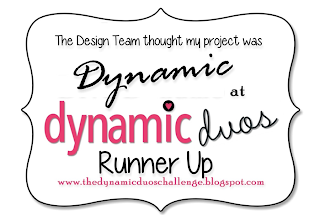 This card won a Dynamic Darlings award from Dynamic Duos Challenge #83. You can see the original post here. Here are this week's Weekly Deals, we hope you enjoy them as much as we do!